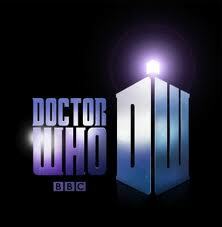 So as the name of the podcast implies, Doctor Who is a big part of is. It started life as a Doctor Who Podcast, but as I started wanting to talk about other shows, I decided to start turning it into a more general Sci-Fi podcast. Doctor Who will always be a big part of the show (I very much doubt I’d release an episode without at least having a section on it) so why don’t you let me know about your Doctor Who stories and favourites. Well I’ll kick this page off with me theory on who River Song is. I’ve mentioned it on the podcast before but I think that River is Amy. I know this is jumping on a band wagon but I have thought about it, there are some points I’d like too…point…out to you. 1. In The Time Of Angels River said that has got pictures of all of The Doctors faces. How? We know that she travels through time so she COULD have seen the previous (1st, 2nd, 3rd ect) Doctors. But I think that if she was Amy she’d have seen Prisoner Zero’s hologram in The Eleventh Hour of all The (on screen) Doctors, and some of his enemies and could have written it down. 2. In Human Nature and Family of Blood The Doctor put his Timelord essence into a fob watch and maybe (not saying it will/could happen) he might have to do that or something similar to that to save Amy’s life, and then she regenerates into River. That’s about it. But someone might take me to task about how she gets the T.A.R.D.I.S looking book. Easy: she asks someone to make a book the looks like a Police box. Personaly I think the idea that amy is river is rediculous but the more I look into it the more likely that it coul be. although in sieres 6 ep 1 river said the doctor knew all about her and he did not know all about amy when they first met but quite intresting instite to it but you’re not the only one with that theory. Iwould like to intrest you in something else. almost all people conclude that the doctor will marry river in her past and his future so song must be the doctors last name.